Let the celebrant make a wish over blossoming blooms with this unique square fresh flower arrangement! 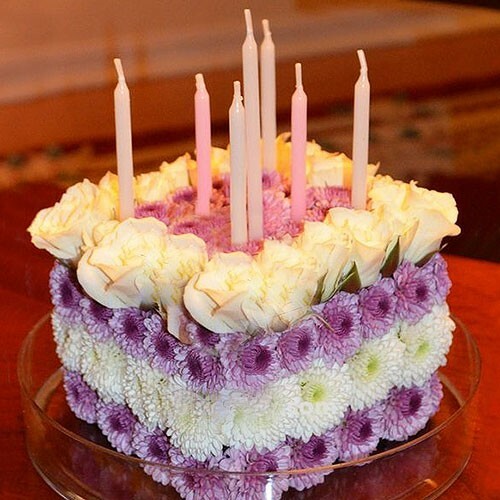 Purple, white, and pink flowers are artistically shaped into a cake arriving for a sweet and celebratory styling. This thoughtful gift can be sent for several other occasions as well such as Mother's Day.